I hope you enjoyed some barbecue after reading our last blog (I know I did). In this blog, we turn the page on summer activities and discuss a topic very common to fall – back to school. For most, back to school means many trips to the store to buy clothes, shoes, back packs, lunch boxes and school supplies. Items common to school supply lists are pens, pencils, notebooks, scissors and glue. The last item, glue, is the focus of this blog. Glue typically comes in liquid form and ProQuip tank agitators with ProQuip Doubly-Pitched HiFlow impellers are working overtime in many glue manufacturing processes to meet demand. 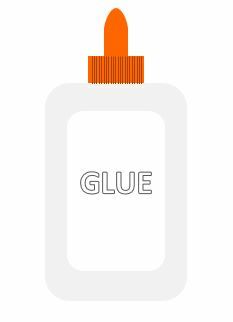 Each American uses an estimated 40 lb (18.2 kg) of glue/adhesives per year. ProQuip tank agitators with ProQuip Doubly-pitched HiFlow impellers are used in many adhesive and glue manufacturing processes. Starch-based glue comes from organic compounds while adhesives are chemical-based such as isocyanates. Glue came into being when ancient tribes discovered bones, hides, skin, sinew, and other connective tissues from animals could be processed to remove collagen, the protein in these tissues. Milk solids, blood albumin, fish parts and vegetables can also be used as a basis for glue. Glues used by early cabinet makers were made from animal hides, hooves, and other parts that had been reduced to jelly, dried and ground. It was remixed with water and heated gently in a glue pot when needed. This product was brown, brittle, hard, and not waterproof, but was the only glue available until World War I (when casein glues made of milk and nitrocellulose glues were introduced). Innovations in the 1930s and 1940s by the chemical and plastics industries led to development of a wide range of materials including adhesives, plastic/synthetic resin glues, neoprenes, epoxies, and acrylonitriles. Ubiquitous Elmer’s® Glue-All, the first white/school glue, was originally produced by the Borden® Company in Columbus, Ohio in 1947. It was named after Elmer, the spouse of Borden’s famed corporate symbol, Elsie the cow (source: elmers.com). The same basic manufacturing processes have traditionally been used to make hide/skin glue, bone glue and fish glue. First, the hides are washed and then soaked to soften them. Several water baths using agitated tanks and increasing amounts of lime make the hides/skins swell and break down. The swollen hides are rinsed to remove the lime. Weak acids remove any remaining lime. Finally, collagen is removed by cooking the stock in an autoclave or boiling it in open, agitated tanks. Cooking/boiling time and temperature are critical to the glue quality. Pressure tanks are typically used in bone glue manufacturing, and additional processing is needed to remove the minerals and extract collagen (usually an acid solution is applied). The rest of the process for manufacturing bone glue is similar to hide glue manufacturing. Modern glue and adhesive manufacturing processes vary based on the components and properties of the formulation. One type of modern glue is a formulation of polyvinyl acetate in water. It is manufactured using ProQuip Doubly-Pitched HiFlow impellers in a non-baffled tank. This impeller design provides wetting and mixing of the low viscosity mixture at the start of the process, and continues to effectively mix as the material changes to a high viscosity, non-Newtonian mixture. Other modern glue and adhesive formulations, including sodium polyacrylates, are also manufactured in non-baffled vessels with ProQuip Doubly-Pitched Hiflow impellers. For additional information on adhesive and glue manufacturing, go to How Products are Made to read the complete article and obtain additional references. For help with industrial tank agitators or your mixing application, email applications@proquipinc.com or call us at 330-468-1850.